The creation of the Duo Mélomane is the unique result of social media, a chance encounter, and a friendship built on a shared musical passion. 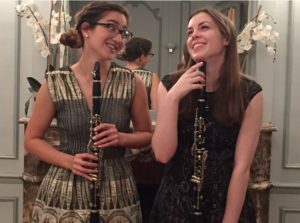 Clarinetists Jenny Maclay and Kristi Hanno became Facebook friends in 2010, never having met in real life. It wasn’t until 2014 that the two met at the final round of a national music competition, where they were randomly assigned as roommates. This is how a girl from Iowa and a girl from Alabama became friends in West Virginia. 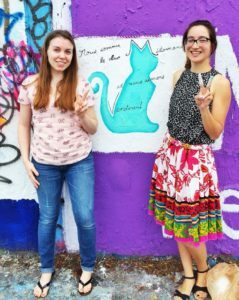 The foundation of their friendship was based on their shared musical interests (not to mention their shared love of cats, thrift stores, and travel). 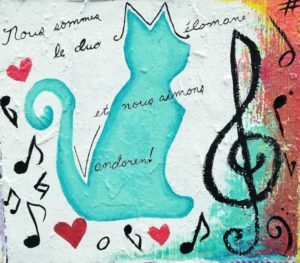 Despite geographical differences, the two created Duo Mélomane (French for music-lover) to combine their musical talents. 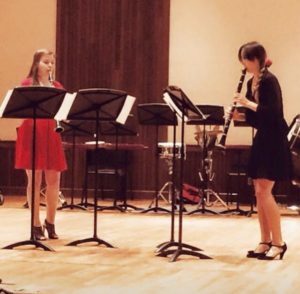 Duo Mélomane performs a wide variety of styles and features the works of female composers. 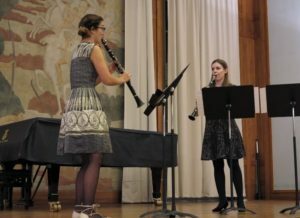 Recently, Duo Mélomane performed at the 2015 Vandoren Clarinet Ensemble Festival and presented a recital at the Fondation des Etats-Unis in Paris. 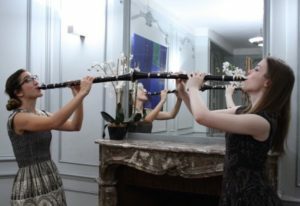 Duo Mélomane is currently planning a European recital tour.